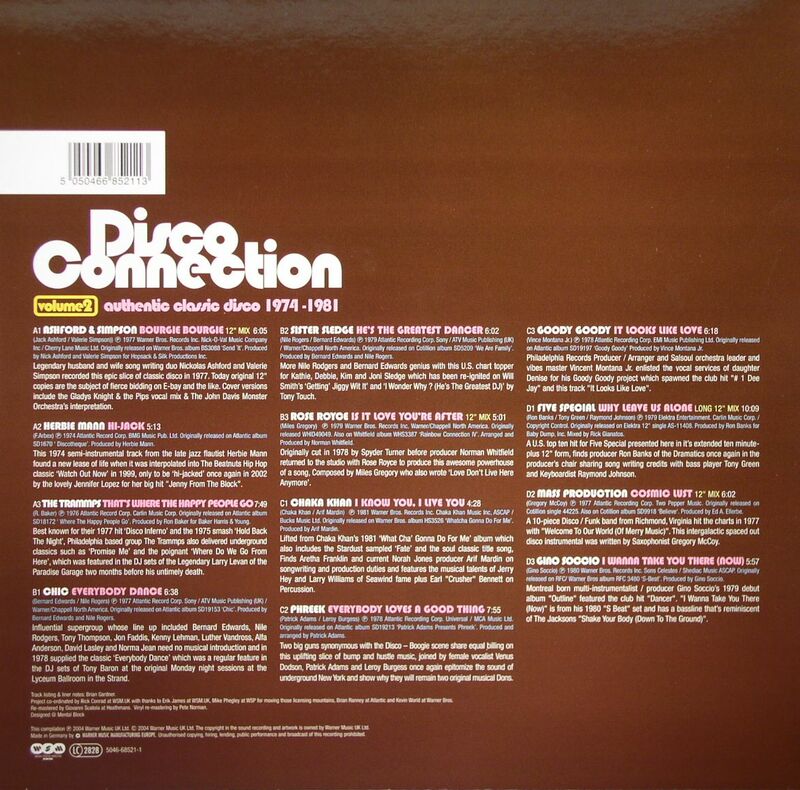 VARIOUS Disco Connection Volume 2: Authentic Classic Disco 1974 1981 vinyl at Juno Records. 1. 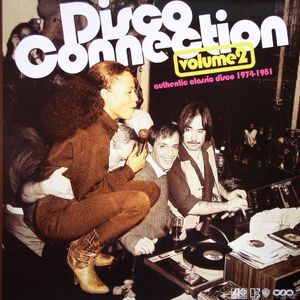 Ashford & Simpson - "Bourgie Bourgie"
2. Herbie Mann - "Hi-Jack"
3. The Trammps - "That's Where The Happy People Go"
1. Chic - "Everybody Dance"
2. Sister Sledge - "He's The Greatest Dancer"
3. Rose Royce - "Is It Love You're After"
1. Chaka Khan - "I Know You, I Live You"
2. Phreek - "Everybody Loves A Good Thing"
3. Goody Goody - "It Looks Like Love"
1. Five Special - "Why Leave Us Alone"
2. Mass Production - "Cosmic Lust"
3. Gino Soccio - "I Wanna Take You There (Now)"